You may not want to hurry upgrading your devices to be ready for Verizon’s launch of its 5G mobile network this spring, because only a tiny portion of Chicago and Minneapolis are slated to initially get service. 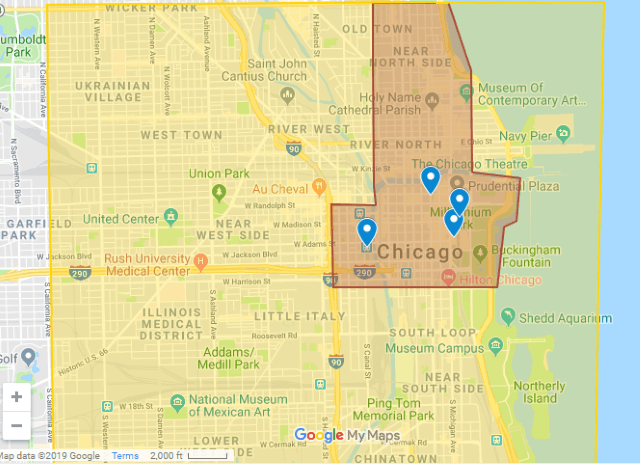 A review of permits, publicity studied by PC, and reports from residents witnessing the installation of wireless equipment suggests Verizon’s mobile 5G launch will be focused on tourist, entertainment, and shopping areas inside the cities of Chicago and Minneapolis, and will be targeted to people spending time downtown. Verizon (in red) and Sprint (in yellow) anticipated 5G coverage in Chicago. Verizon’s 5G service will reach places like Union Station, Millennium Park, and the Chicago Theatre in Chicago, but not far beyond that. In contrast, Sprint’s forthcoming 2.5 GHz 5G network will reach west to East Garfield Park and south to Chinatown. 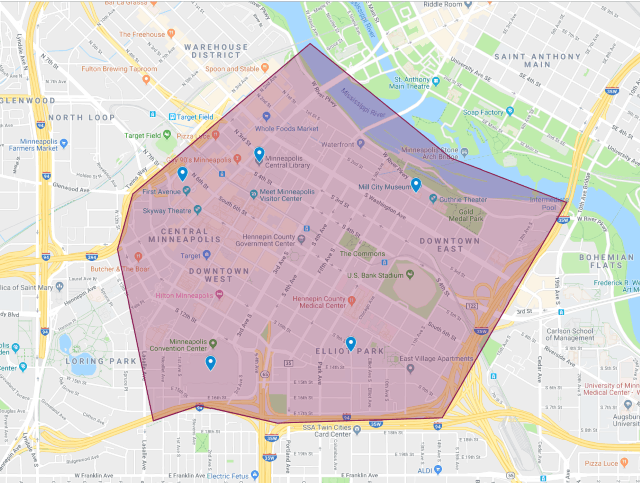 In Minneapolis, Verizon’s 5G network is likely to reach neighborhoods in the Downtown East, Elliot Park, Downtown West, Central Minneapolis, and the Waterfront area between West 2nd Avenue and 35W. It will also be available inside the Mall of America, the Minneapolis Convention Center, Central Library, and Target Center. Verizon 5G coverage anticipated in Minneapolis. Verizon’s network should be faster, but Sprint’s will cover a larger area. Carriers are prioritizing 5G coverage on dense urban areas that attract significant crowds, which can also strain wireless networks. Suburban areas in cities and suburbs are not a priority at this stage, and rural areas are ignored completely. Verizon and Sprint 5G Coverage — Chicago and Minneapolis (Courtesy of PC). Use zoom controls to study anticipated coverage areas in both cities. No one actually believes Sprint will have 5G coverage in that area with their paltry 150mhz of band 41 do they?